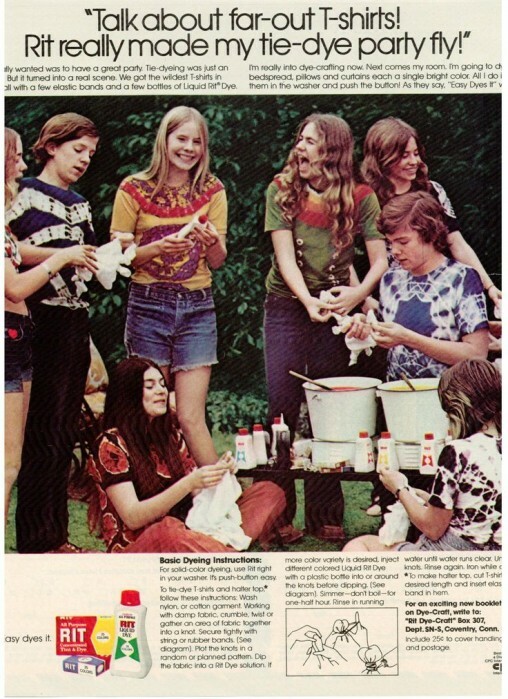 Here we have an assortment of adverts that have more Tie-dye than an audience at a Grateful Dead concert – well perhaps not that much. 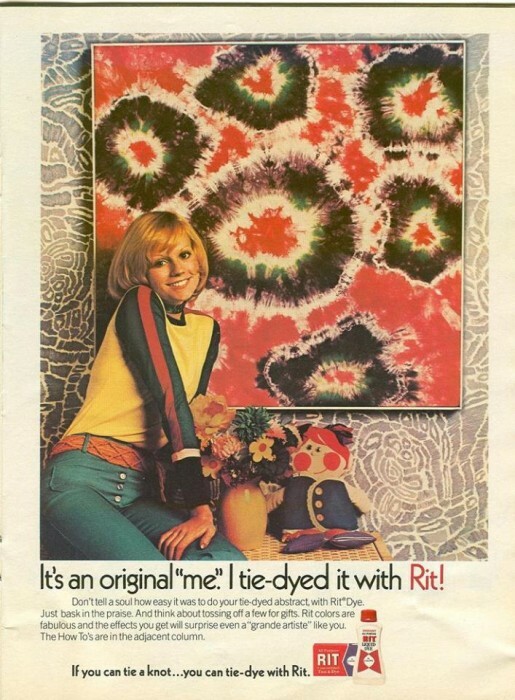 Although Tie-die is a fairly modern phrase created in the mid-sixties, the earliest examples of the technique originates way-way back in Peru from 500 to 810 AD. 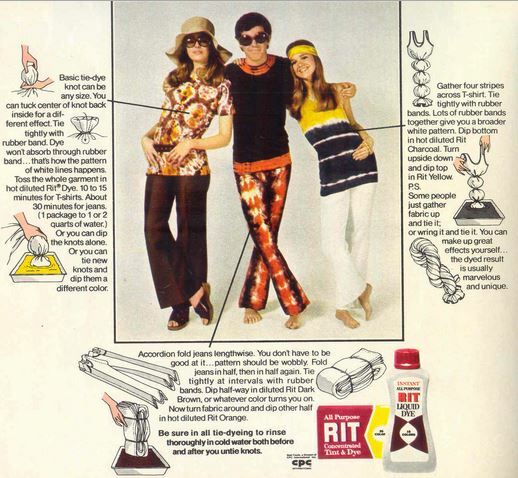 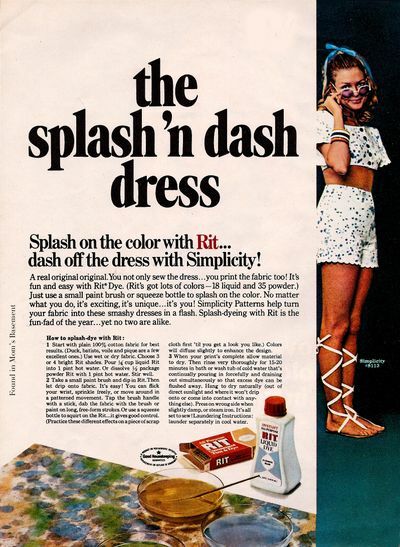 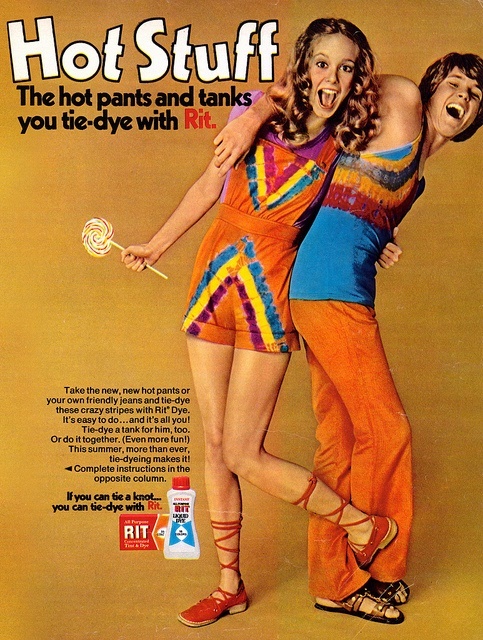 The Rit brand dye first first hit the high streets over a hundred years ago, they promoted their new product with the catchy slogan “Never say Dye, Say Rit” in 1917. 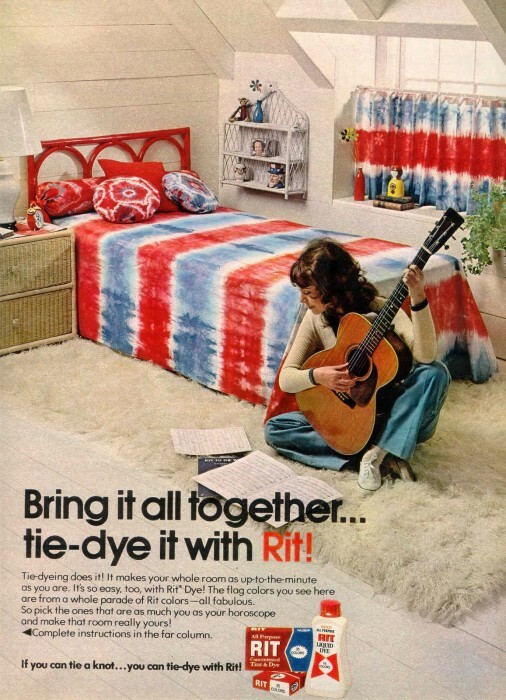 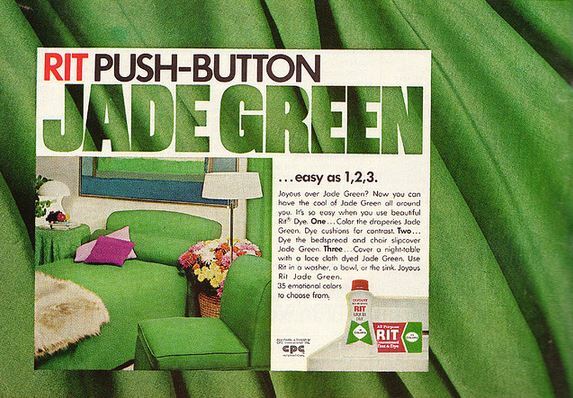 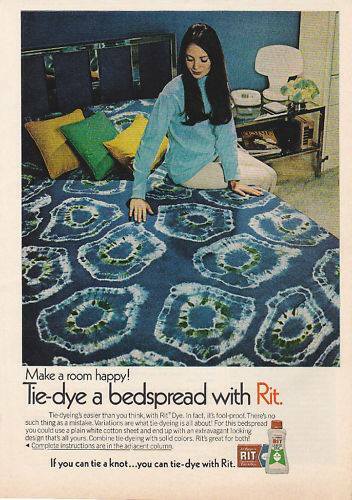 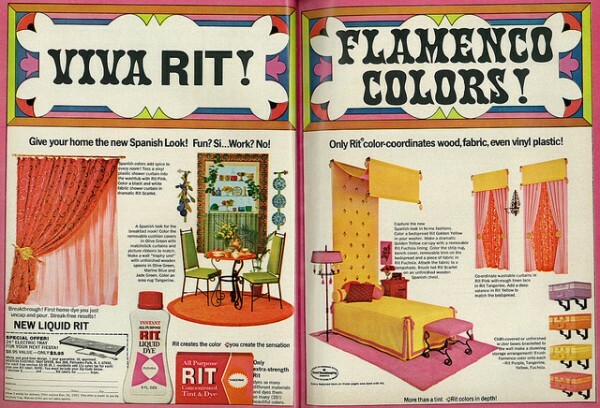 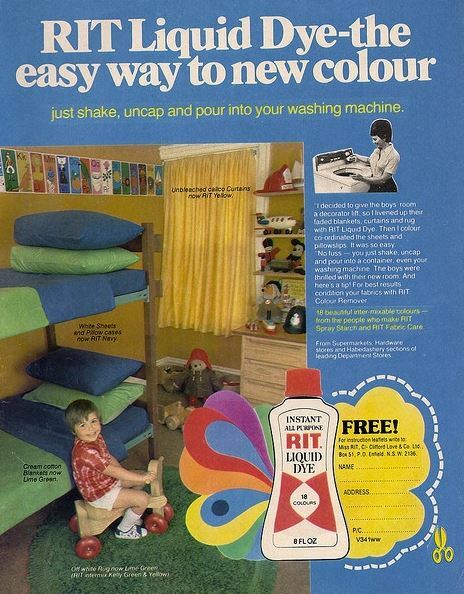 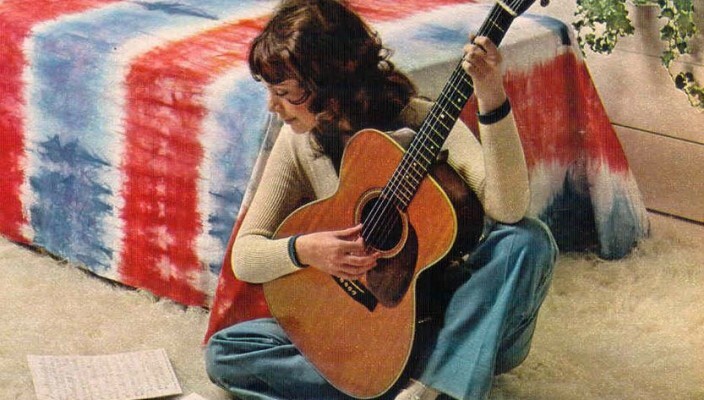 These advertisements date back to the mid-sixties through to the seventies when Tie-dye was at it’s prime.It was an era when it was trendy to brighten up your plain bed sheets, Flower Power-up some old jeans, make psychedelic canvas art for your home or turn your hot pants into hot stuff.